Windows 10 is finally here with some great features and apparently some technical problems too . The new improved Windows 10 is user-friendly and share similarities with windows 7 including the start menu. It is faster and resumes quickly , comes with more security features and is designed to work with existing software. While it handle existing application quite well it does have a display error.The drawback of the high – resolution display featured in the new upgraded windows 10 is the appearance of unfocused or blurry fonts . Let’s have a deeper look at the problem and its solution. The main issue with windows 10 is the poor display features . Firstly many text , icon, windows decoration are quite hard on the eyes in high resolution display as they tend to blur.Secondly some desktop icon does not scale properly on high DPI display.The problem strikes when you have a screen with a resolution of 1920 x1080 or higher. The high resolution setting cause the fonts to become blurry / unfocused .Sadly , the display setting in Windows 10 does not have any option to sharpen the text and bring them into focus .At this resolution most users tend to set the DPI scaling to at least 125 % to make the font easier to read. 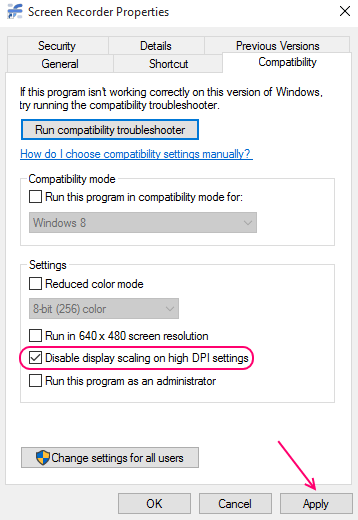 But in case of windows 10 when the DPI scaling is set to 125 the text become blurry. To make picture and apps look attractive pixels are densely packed into small screen. This is the reason that some desktop programs which are not designed to run at high resolution looks small and hence are difficult to run at a higher resolution. The fuzzy text problem crops up as windows 10 uses a different scaling method for DPI. You can use this process to fix the blurry apps problem . Just follow the step below. Step 1 – Right-click on the shortcut of the app you’re having an issue with. Step 2 – Select Properties. 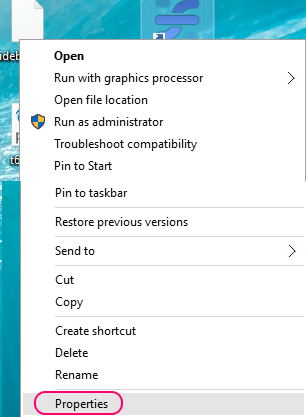 It is important to restart the computer to enable the setting to come in to effect. This is the simplest method which does not solve the problem completely but cover it up. This method while correcting the blurry issue brings us back to square one, where we were stuck with a small app and focused but tiny texts which are hard to read. Lots of windows 10 users are not quite happy with this problem and there have been lot’s of complain too. Despite it’s new interactive and more user friendly features windows 10 lags behind in the display features. 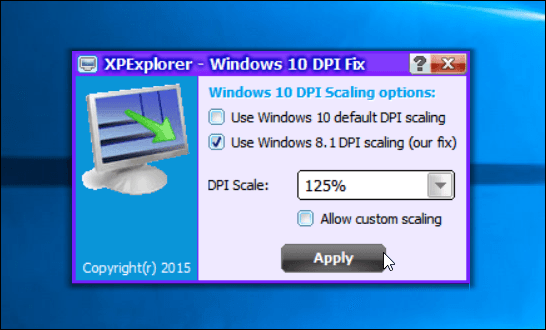 The most effective way to fix the problem is by using the XPExplorer – Windows 10 DPI Fix which is available for free. Step 2 – checks for Use Windows 8.1 Scaling . Step 3 – choose your scaling level . You are required to restart your system to complete the installation . This would solve the issue of fuzzy fonts in the apps . On restarting your system the font will look sharp and focused . This is quite handy and effective as it will work across the board and fix the problem of blurry / unfocused texts . It is save you the hassle of fixing every blurry text manually . The ultimate solution to the entire blurry text problem until the Windows 10 update is out . Microsoft is still working on the newly launched Windows 10 and will hopefully come up with a solution for this annoying problem in the new update.